903 points will be rewarded to you when you buy this item. 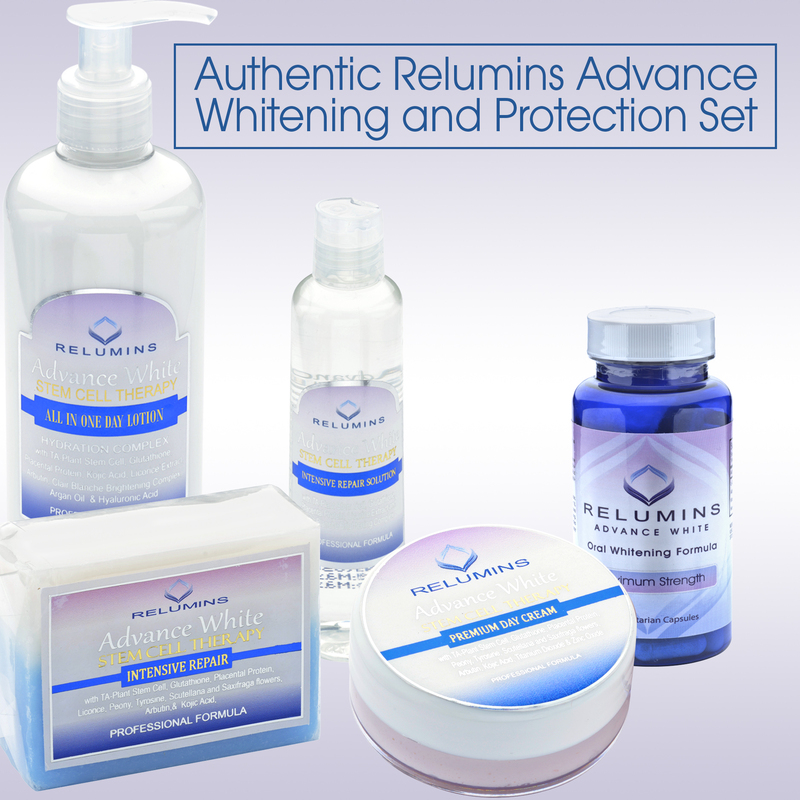 This set features Relumins day time protection to whiten while also protecting skin from the harmful sun. 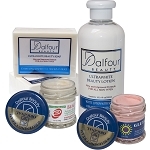 This set is designed to whiten skin and help you achieve a healthy even glow. These products are formulated with Clair Blanche Brightening Complex - a blend of Kojic Acid, Acetyl Tyrosine, Pacificos VAP, Arbutin, Glutathione, Saxifraga, Scutellaria, Peony Extract. It is the strongest natural power whitening complex for even whitening. 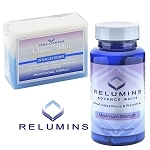 Relumins Advance White Oral Capsules- Relumins L-Glutathione complex is the most advanced oral Glutathione and placenta formula available. It is the most effective oral skin whitener available and has numerous other health benefits. 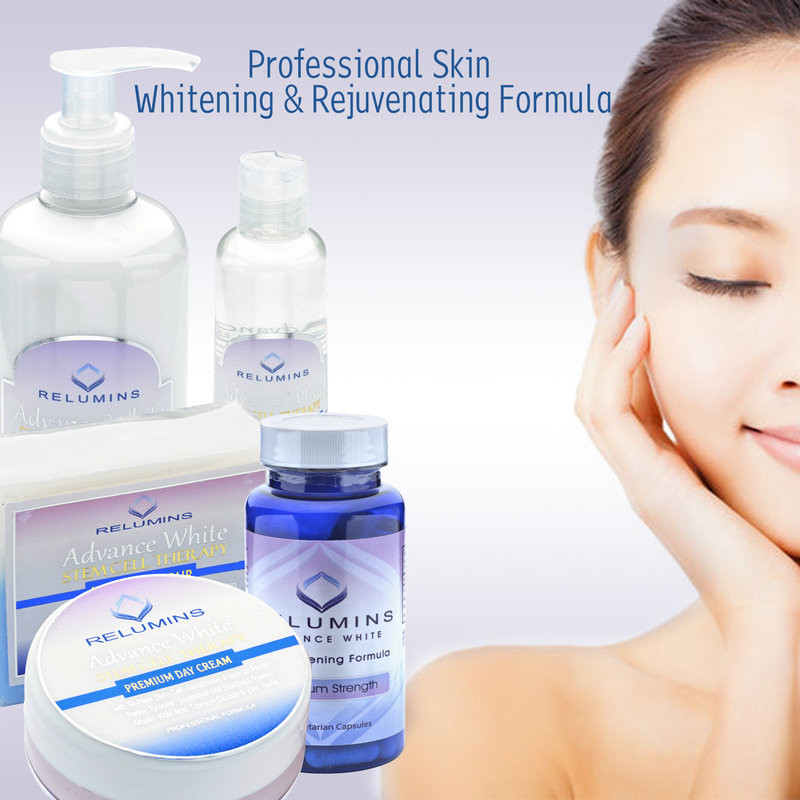 Relumins Stem Cell Therapy Day Cream- The first whitening cream to combine Placental Protein and TA Stem Cell. The active ingredients are cradled in a light gel-cream base designed to hydrate and be absorbed deep into the skin where they can do the most to stimulate healthy skin repair, breakdown dark pigments and prevent new pigment formation. 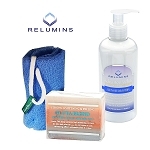 Relumins All in One Day Lotion- Light Weight Body lotion containing placenta proteins and glutathione with sun protection for all day hydration with whitening and rejuvenating properties. Relumins TA Stem Cell Soap- This groundbreaking formula from Relumins is the most advanced & effective whitening soap ever formulated. 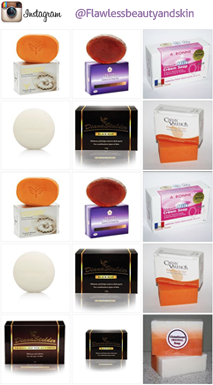 We believe that this soap will become the cleanser of choice for millions of women and men looking for brighter, healthier, & younger looking skin! 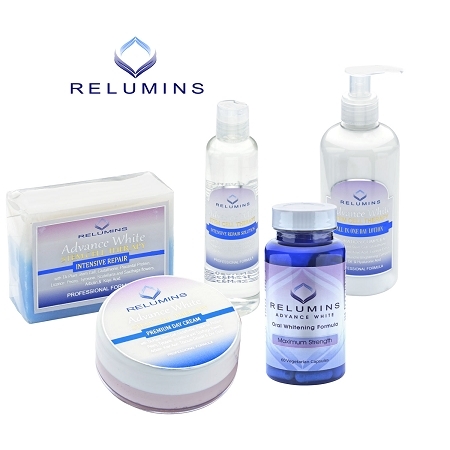 Relumins Intensive Repair Solution- Contains active ingredients have exfoliating, whitening and anti-aging benefits that clairfy and minimize pores. -Placental protein enhances skin's elasticity and moisture and stimulates cell renewal to revitalize the skin. It also visibly reduces and fights the unsightly signs of skin aging such as wrinkles and fine lines. - TA Stem Cell Stimulates Collagen for Healthy, Younger, Firmer Looking Skin. Placental Protein is a highly-recognized cosmetics ingredient due to its exemplary skin-whitening property that actively influences the activity of tyrosinase, a component of melanin. In fact, it is the most popular and widely used skin whitening agent in Japan. TA Stem Cell Extract is formulated in Japan, and approved for use as neutraceutical standards for the purpose of reducing appearance of skin aging. Required clinical studies of approve and actual benefits and results. Aqua, Glycerol Monostearate, Stearic Acid, Caprylic/Capric Triglyceride, Cocos Nucifera Oil, Glycerin, Argan Oil, Sunflower Oil, Lactic Acid, Sodium Lactate, Itanium Dioxide, Zinc Oxide, Octylmethoxycinnamate, Chamomilla Recutita (Stem Cell) Flower Extract, Kojic Acid (50%), Sodiumsulfite (4%), Acetyl Tyrosine (5%), Aminopropyl Ascorbyl Phosphate (5%), Saxifraga Sarmentosa Extract (2%), Arbutin (2%), Paenia Suffruiticosa Root Extract (2%), Scutellaria Baicalensis Root Extract (5%), Glutathione (5%), Glycyrrhiza Glabra (Licorice) Root Extract, Pueraria Lobata Root Extract And Chlorella Vulgaris Extract And Aloe Barbadensis Leaf Extract, Isodecyl Neopentanoate, Copolyamide 6-12, Triethanolamine, Phenoxyethanol, Fragrance.